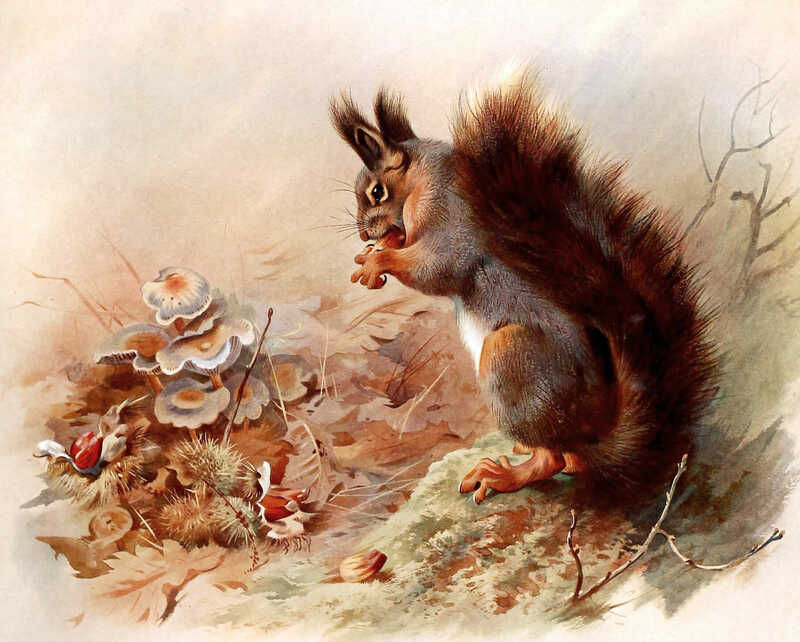 A warm, colorful vintage illustration of a British Squirrel. From the antique book, “British Mammals”, which is now in the public domain. Illustrations by Archibald Thorburn.